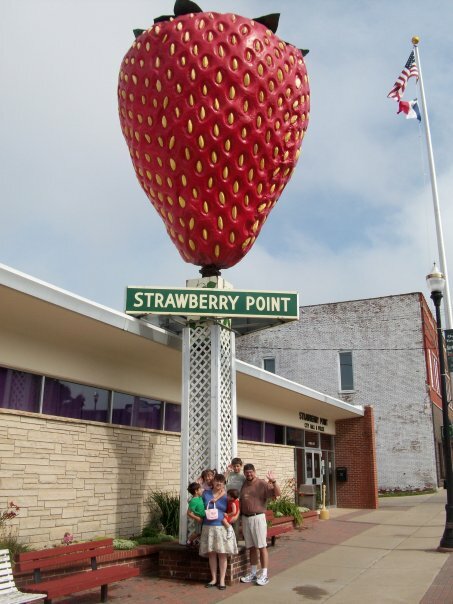 Located in Strawberry Point in Iowa (where all the big fiberglass veggies live) is the world’s largest strawberry. The giant berry was apparently built in 1968 by F. Hardie Advertising in Dubuque, IA. Conclusion: The world’s biggest strawberry weighs more than me. Want to hear about sexberries and why I have strawberries on the brain? Click HERE to read about it on Fat Chick Sings! This entry was posted in Uncategorized on May 11, 2010 by fatchicksings.